International Journal of Research in Health Sciences,2014,2,4,999-1008. 1-Lecturer, Department of Allied Health Science, School of Medicine and Health Sciences, University for Development Studies, Tamale, GHANA. 2-Research Fellow, Institute for Continuing Education and Interdisciplinary Research (ICEIR), University for Development Studies, Tamale, GHANA. 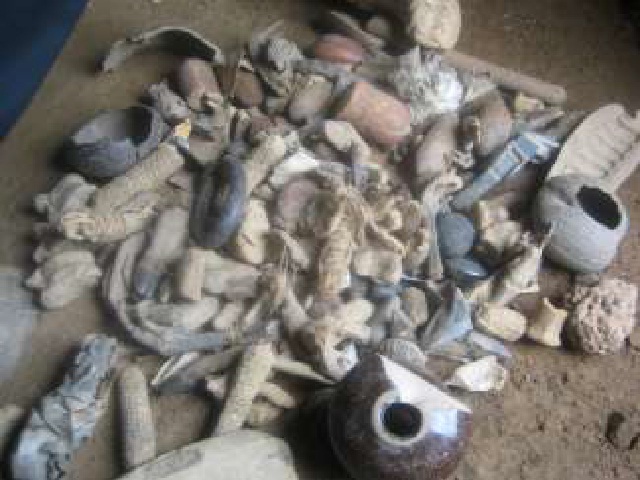 Divination in health seeking is an ancient practice that still persists in many traditional societies in Ghana. It is a mechanism employed to gain vision or knowledge into a question or situation by using occultic methods, processes or rituals. This paper examines the contribution of diviners to health service delivery in the Tallensi and Dabdam districts of the Upper East region of Ghana. The study combined socio-anthropological methods, mainly interviews, focus group discussions and observations to collect information from diviners, health workers, and community level respondents. In traditional rural societies, divination satisfies and complements the health needs of the people. In acute situations, patients combine modern health services and divination to get cure to their sickness. However, most health workers believe that divination could lead to delays in reporting cases and complication of sickness as patients may seek wrong health service through the advice of diviners. The paper concludes that medical pluralism is important because people believe that their sicknesses could be caused by supernatural circumstances, and hence the resort to divination.